I moved to Tucson after joining the Air Force in 1981. After 4 years of service I decided to stay in this beautiful city. My husband and I have raised our daughter here and have 2 beautiful granddaughters. I became a Realtor in 1996 and a Broker in 2010. 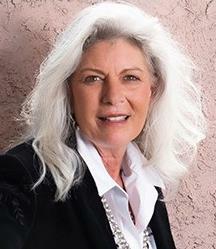 I specialize in resale homes, new homes, investment property and probate. I serve all of Pima County.